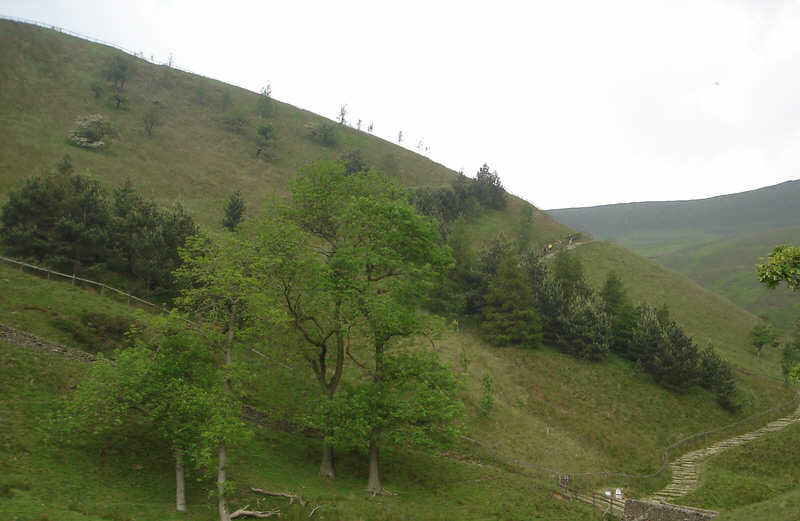 This picture shows the start of Jacob's Ladder, the path that climbs up from the western end of Edale onto Kinder Scout. Jacob's Ladder is the path visible to the right of the picture. The alternative track way up can just be seen on the left.